There are many different types boilers used in the home for heating and hot water. Each boiler type has its pro’s and cons and so if you are considering a new boiler then its always a good idea to have some background before speaking to your heating engineer. Combination boilers – more commonly known as combi boilers – are the most popular kind in the UK and provide heat and hot water with no need for water tanks or cylinders. You can pick either a gas or electric combi boiler. you get unlimited heat and hot water when you need it. there’s no need for a tank in your loft. they don’t take up much space. The water pressure might be reduced if you need hot water from more than one tap at a time. Combi boiler installation is quite tricky. Suitable for almost any home, but best for homes where lots of people won’t need lots of hot water at the same time. 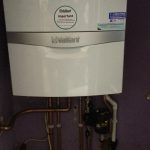 System boilers – also known as sealed system – come with a water cylinder (which usually sits in an airing cupboard) and no water tank. you can get hot water from multiple taps at the same time. you don’t get hot water instantly. the hot water can run out and you’ll have to wait for it to reheat. you need to find room for the cylinder somewhere. Homes which need to have hot water in more than one place at the same time. Conventional boilers – also known as open vent or regular boilers – have both a cylinder and a tank. you need to find room for the cylinder and the tank. Condensing boilers aren’t strictly a boiler type – instead it’s an attribute your boiler can have, e.g. you can have a condensing combi boiler or a condensing conventional boiler. Condensing boilers are very energy efficient because they capture some of the heat which would escape from the flue of a non-condensing boiler and re-use it. This means they get more heat from the same amount of fuel, which will save you money on your heating bills. 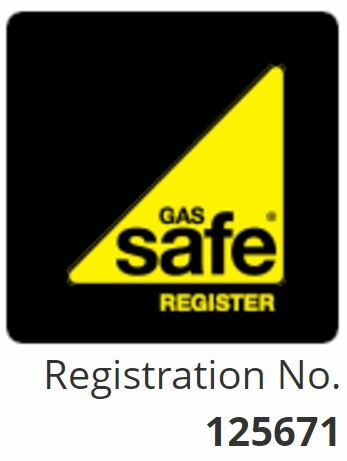 All new gas boilers have had to be condensing since 2005 (although in exceptional circumstances non-condensing boilers are allowed). All new boilers are energy-efficient – since 2010 all new boilers must be A-rated for energy efficiency, or at least 88% efficient. The energy efficiency rating system for boilers is called SEDBUK (Seasonal Efficiency of Domestic Boilers in the UK). All boilers are assessed and given a rating to help you pick a boiler that is energy-efficient, or see how efficient your existing boiler is. Contact us for more information or to book your boiler repair, boiler service or boiler installation.